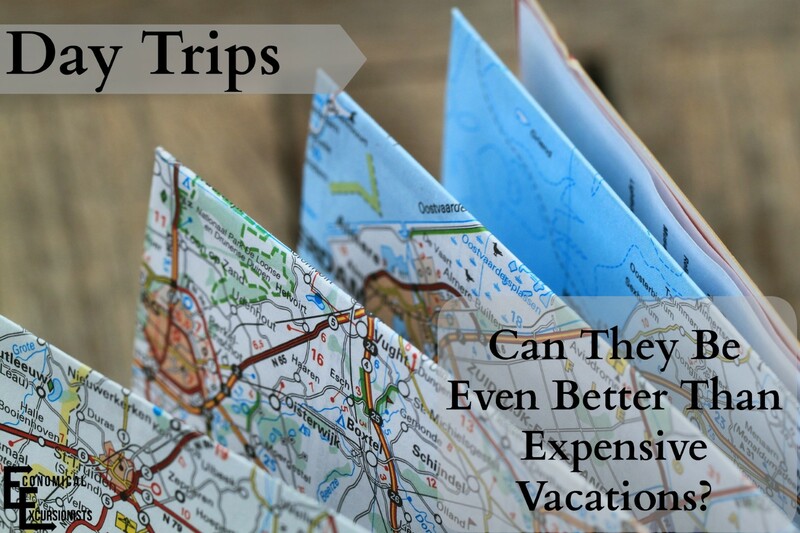 Home » Budget Traveling » Day Trips: Are they even better than vacations? We’ve been blessed to have been able to live and travel around Europe for almost 3 years. In these 3 years, I’ve had my share of overnight trips and day trips. I love both types of travel. But today, I’ll be sharing 5 great reasons why day trips are great ideas. LeAnna also shares her top 20 Day Trips in and Near Bavaria if you are in the area as well! Right off the bat I’ll start with this reason; day trips aren’t usually expensive. 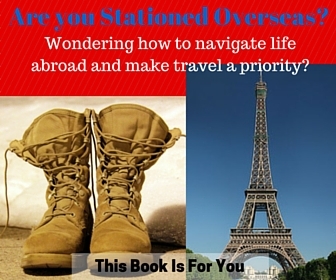 You don’t have to worry about hotels, plane tickets, eating 3 meals out, or even tour guides. When we go somewhere for the day, whether if it’s to visit a castle ruin or to a museum or park, admission is usually just a couple bucks. For typically less than a tank of gas, it will get you to a place you’ve never visited before. If you’re like me, you have an amazing relationship with your bed. I can’t tell you how awesome it is to be able to come home from a vacation and be able to sleep in your own bed. That’s the beauty of day trips. You are able to go out and explore, but every night, be able to come home and crawl into your very own bed. This is my favorite part about day trips. You’re not rushed to see everything because you know you can always go back, if needed. Say you wake up later than expected but still want to go somewhere, you can easily change plans or you could decide not to go at all. The best part about it is if you need to change your plans you won’t be left feeling like you missed out. You know you’ll always be able to go back, sooner or later. I know what you’re thinking—it’s easier said than done. Say, you want to go out for half-a-day, it’s easier to find a sitter for a few hours rather than a weekend. Or if you want, you’re able to take your kids/fur child with you. They can nap in the car/train and hopefully be ready and in a good mood when it’s time to explore. Since I don’t have kids, I find that when taking day trips with friends who have kids, they’re more than willing because gathering things for a few hours is easier than packing for a weekend then realizing you forgot something at home. Living in Europe, thanks to open borders you’re able to drive 2 hours and be in a whole different country. But if you don’t have a passport, that can put a damper on things (never travel without a passport! 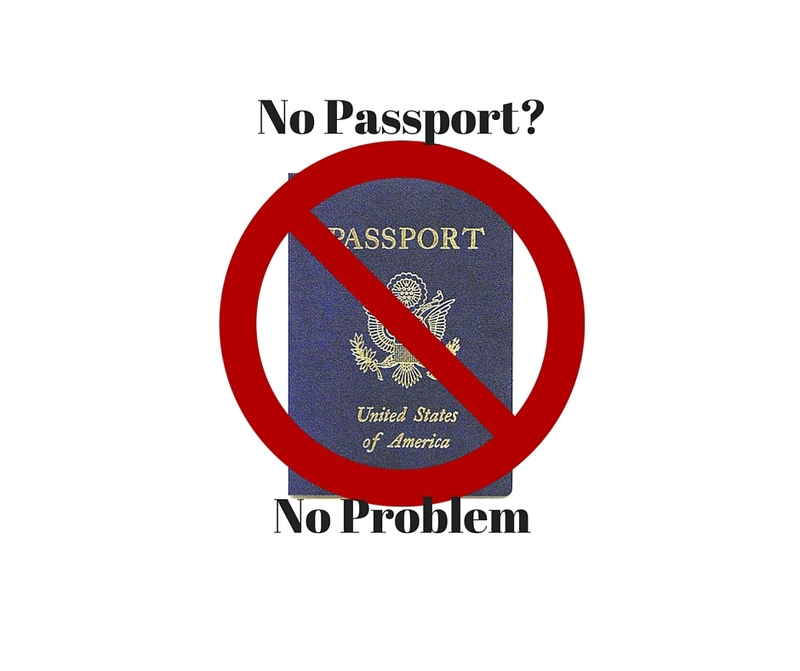 Even with no border control, it is still illegal to cross without proper documentation) If you’re traveling by plane, boat or even a by car, chances are you’ll need your passport. Day trips ensure that you don’t have to lug around your important documents, or worry about not being able to get on the plan because you don’t have your passport. I saved the best for last. I can’t even explain how many hidden gems we’ve found even 20 minutes from us. Finding hidden Gems is always a reason to go exploring. With day trips you’re able to become experts on your area so when visitors come you’ll know the exact place to take them! Day trips don’t have to be a hassle. It should be something you do when you want to take advantage of the beautiful weather or if you want to get out of the house. It’s something to fill your inner desire to get out and explore. In my opinion it is a good stepping stone to help you plan for bigger trips. After all, memories aren’t made by sitting at home wishing you did something. No matter where in the world you are, you can take full advantage of still exploring and site seeing via day trips. Tell us in the comments, what has been your favorite day trip from your home? 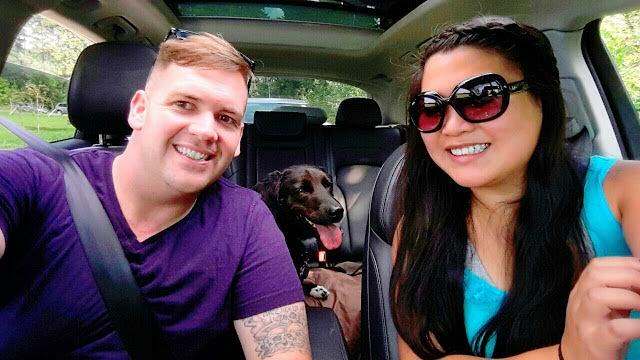 Teanna is a blogger over at Sidles Adventures, she is a Teacher, Army wife, Fur baby mommy, & lover of Pinterest. Love a fun day out. You still need plenty of planning/organisation but worthwhile – especially when it’s decent weather! As a Londoner, I’m always looking for day trips out of the city – for the very reasons you set out in this post! I love that you said you have an awesome relationship with your bed! I do, too, and I love this classic line. It’s always great to explore your own backyard, which oftentimes gets overlooked for bigger travel. Unfortunately, though, in the U.S., we don’t have the opportunity to drive a couple of hours to another country unless we are right on the border of Canada or Mexico. Definitely an upside to living in Europe! I’ve recently moved back to the states, and still take day trips. Being in Europe has opened my eyes to day trips and the importance of them. I agree about not being able to travel to a different country, but just the other day I drove an hour North to a place I’ve never been before (From a place I grew up)! The U.S. is filled with so many things, and the upside to living in the states., we don’t need a passport to see it! Hi Teanna, nice post. I live close to Bavaria in the western part of Austria. My favorite day trip I think was to Lucerne in Switzerland. It was a long, long day but a fantastic day. Had a great time being on the lake, enjoying the sun and exploring the town. I agree sometimes it can be a little adventure to explore the area close-by. Also, some of my friends are sometimes jealous because they didn’t even come up with the idea to do so…. quite easy and is fun. Thanks for sharing this! I love that you have a favorite day trip! I’m not sure I even have a favorite. I hope your adventures make your friends want to travel as well! Maybe next time, invite them along. Day trips with my friends were always my favorite. Thank you for your comment! I couldn’t agree with you more! I recently moved back to the states, and am in Florida for the moment, and although I grew up here, I’ve been finding more and more things that I’ve taken for granted before moving to Europe! I love these kind of fun trips…. short & sweet. There’s so much to see in our neighborhood that we should not always think of travailing far. Lovely post. I agree, day trips can be great! And a really wonderful way to get to know your own area – you definitely don’t need to get on a plane to travel and have amazing experiences! I love day trips! In fact, we just took one today to Rovinj. We decided to book an Airbnb out of our main destinations to save money and just do day trips everywhere. Will be doing this next time as well! Great idea! While most people think of day trips from their own home- why not apply the same concept when traveling as well!? Natasha, we’ve done this too! Day trips when travelling is a great combination! Totally agree with you! While we love traveling to far away places, day trips close to home are fantastic as well. Love point #6–I feel like people overlook things in the area they are from, and it’s sad people miss out on so much because of it! It’s always so nice to sleep in your own bed when you are close, and can’t complain about being cheaper, either! I love that you said this. I’ve recently moved back to the states, and have realized how many things I’ve overlooked because I was so anxious to go somewhere else. I appreciate day trips more, especially because they’re cheap! Europe or not, these tips will surely work for the aspiring traveler! And starting from the day is still beneficial for your body clock and rhythm. Reserve the evening for the elegant, chillin’ parts! I can’t agree with you any more! I day trips can be taken any where. Europe just opened my eyes to it. I haven’t done a day trip in a while but I totally agree about the element of fun especially when it’s unplanned! These are all valid points to consider regarding day trips. It’s also a great way to help alleviate the travel bug a little when you don’t have the vacation time or funds to go for a weekend getaway or a longer trip. As for good day trips from Toronto (where I am from), Niagara Falls is by far the #1 destination. But, I also recommend checking out St. Jacob’s (a Mennonite village about 90 minutes West), Blue Mountain Ski Resort or Kingston (one of the first capitals of Canada before Confederation). ← Beer Baths: You want me to bathe in what! ?